Dark Print Wall Tiles which are glossy printed wall tiles are available in various ranges and different prints. These Dark Print Wall Tiles are long lasting as they are prepared with superior quality raw materials. They are widely used for elevation purposes and can be easily maintained. We supply a huge number of Dark Print Wall Tiles to our clients world-wide. We have emerged as the foremost manufacturer, exporter and supplier of Decorative Wall Tile of utmost quality. Its smooth finishing offers a classically elegant feel to the applicable area. Provided tile is designed and developed under the guidance of trained professionals in compliance with the defined industry norms. We are engaged in offering an extensive range of high quality Floral Satin Matt Tiles to our clients. These tiles are suitable for both interior and exterior applications, marble have similar characteristics of limestone. These Satin Matt Tiles are designed to match the requirements of the clients and are available in various color combinations and sizes. As a quality driven enterprise, we are occupied in trading the best class Wall Tile. 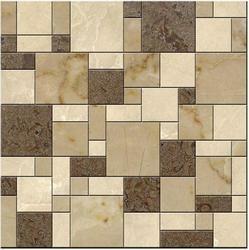 We are one of the organization engaged in providing superior quality of Linear Tiles. These Linear Tiles are available in market at competitive rates. We are manufacturing, exporting and supplying Glossy Digital Wall Tiles, as per the set industrial norms and patterns. We provide these Glossy Digital Wall Tiles at competitive rates to the clients. We are among the dependable Suppliers and Exporters of Glossy Digital Wall Tilee in the market.